Today, businesses are increasingly looking for innovative ways of staying ahead of competition. One of the best strategies is by lowering their costs of operation and increasing efficiency. Technology plays an important role in enabling businesses to achieve their objectives. Mobile scheduling apps allow employees to plan for and evaluate multiple tasks within a short period of time. This goes a long way in ensuring high productivity which in turn leads to more profits for the business. With a mobile scheduling app, small business owners will have an easy time whenever they want to have a look at all their appointments scheduled for the day. When you can see all the appointments at a glance, this will give you a great opportunity to effectively plan for your day so that you allocate enough time for each appointment. 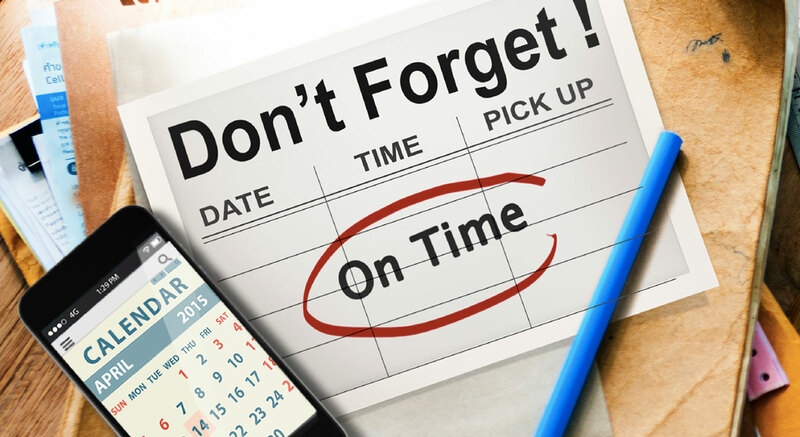 You will also have adequate time to prepare before you attend to appointments and meetings. A great scheduling app allows you to view the histories of your various clients. In these modern days when customers need personalized promotional messages, guerilla marketing and customized services, you will have to be aware of the needs and preferences of each of your clients. Small business owners will be able to know who they are serving so that they can serve them better. This will go a long way to strengthen the relationship between the customer and the business. Most businesses, including small businesses, consider customers to be their priority. This is why small business owners will go out of their way to ensure that every customer feels appreciated and satisfied. Mobile scheduling apps can help you to book clients on the spot. Even on short notice, you will be able to meet your clients without significant inconvenience to your routine work. Planning becomes more effective when you can anticipate what is coming. Anticipating various events allows you to give allowance for any inconvenience of unexpected events that you will experience as a result. With your mobile scheduling apps, you will be in a position to check as your schedule fills up. Looking ahead will always help you to put proper planning measures in place. Mobile scheduling apps can offer small business numerous benefits. By increasing the convenience that you enjoy and enabling you to achieve various tasks effectively, the apps will contribute to the growth of your business. Whenever you are ready to move your business to the next level, get the most appropriate mobile small business scheduling app. If you want to find more about mobile scheduling apps, I invite you to visit Agendize.com. With their mobile scheduling apps you can access all your apps at once. It lets you manage your clients, chats, calls and more wherever you are, making it the complete business app you need to succeed. One of the modern and effective ways of ensuring effective customer management and offering customer support is through live chats with the clients. Advanced mobile scheduling apps include live chats that offer your clients the access they need. Through this feature, you can also answer questions from your clients in real time. With this, any small business will build customer loyalty and boost their revenues. Levering on technology can help small businesses to enjoy benefits that could have previously been unimaginable. When you use a great and reliable scheduling app, you will enjoy much more than basic features. The best apps will let you manage your chats, clients, calls, appointments, meetings and events among many other things. The app will have everything your business needs to run effectively. Budgeting is an important part of running any business, helping to balance expected revenues against the projected income. Due to the important role that business budgeting plays, it is very important that it is taken seriously. Scheduling apps can help to set aside adequate resources for different activities once the schedule fills up. In the end, each of the activities will have enough resources to operate and the business will operate seamlessly. When carrying out any activity, you may want to evaluate progress to determine whether you are on the right path. Scheduling apps help small business owners to establish the progress of their scheduled activities. This will allow you to make any changes to the process or strengthen those areas that are likely to be productive.